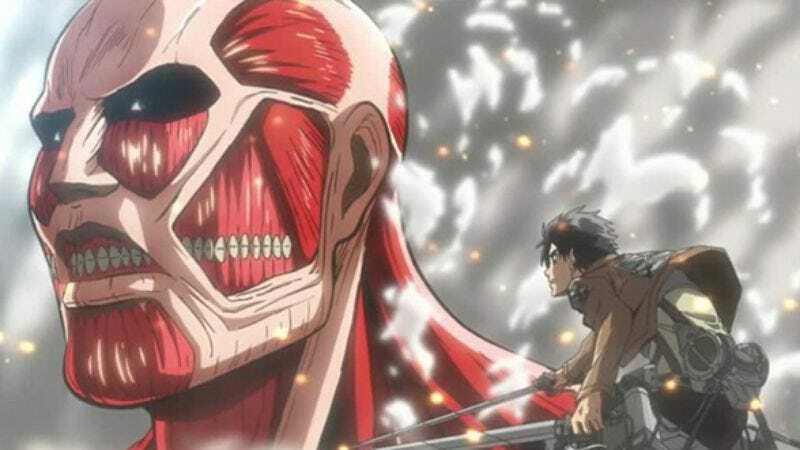 Hajime Isayama‘s Attack On Titan jetted to the top of the anime and manga worlds by combining a razor-sharp premise—mobile, grappling-hook-equipped soldiers facing off against massive, nigh-unkillable human-like monsters—with well-drawn characters and a delicately teased-out mystery. In 2015, the series burst out into the real world in Japan, with Godzilla masterminds Toho distributing a two-part live-action version of the franchise. Now, Deadline reports that Warner Bros. might be looking to recreate that 3D maneuvering magic, with reports coming that the studio is negotiating for the American film rights for Fantastic Beasts And Where To Find Them producer David Heyman. The project is still in early days, but a film capturing Attack On Titans’ kinetic combat could be spectacular, provided Heyman and company can deftly navigate around the live-action anime troubles that have dogged similar adaptations like Akira and Ghost In The Shell.